Apple's moves in the space, plus supply chain reports both suggest that the upcoming micro LED display technology is an obvious choice for a future Apple Watch —with recent production equipment breakthroughs suggesting that Apple's purchase of LuxVue in 2014 will bear fruit sooner rather than later. Inorganic semiconductor micro LED technology was first developed in 2000. It took 11 years for the first small, active micro LED display to be developed at the relatively low resolution as compared to today of 640x480. A traditional LCD screen is considered transmissive —individual elements change color, but are at the mercy of assorted backlight technologies for presentation. OLED and micro LED screens are emissive, meaning that each individual pixel is its own light source with brightness being able to be set per pixel. micro LED uses LEDs for sub-pixels within one pixel, similar to an OLED display. How the red, blue, and green sub-pixels are illuminated determines the color of that pixel. Also, the technology can be deposited on a flexible film, allowing for curved displays. Pixel-to-pixel, micro LED self-illuminates like OLED, but has lighter power demands, lower latency, higher contrast, and better color saturation. At present, technological issues have prevented wide commercialization of the technology by itself in large form factors with the exception of Sony's "Cledis" modular display solution for enterprise —but yields of suitable panels and commercial adoption have been very low. 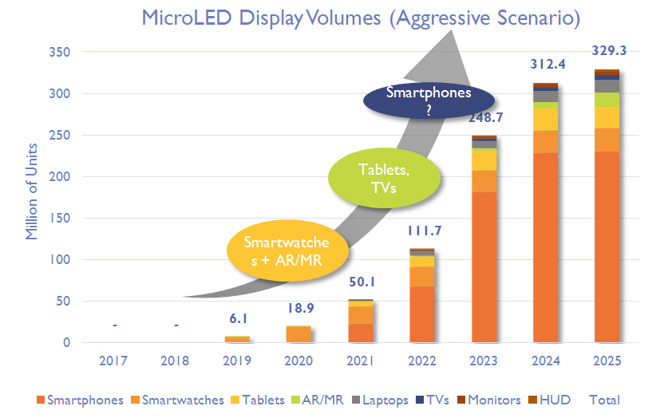 At present, production costs for micro LED exceed that of OLED and quantum dot LED. Defect rates are high with micro LED as well at present, leading to more waste and less ability to use a sheet for a large screen. Production methods for micro LED need only a bit more refinement in the short term to be ideal for wearable technologies, like the Apple Watch. Larger mass-produced commercial displays like smartphones, tablets, displays, televisions are further down the road. In May 2014, Apple acquired micro LED specialist LuxVue, which up to that point was rumored to be the display provider for the ill-fated Google Glass device. When Apple purchased the company, the rumor mill suggested that the technology would be included in what was then expected to be called the iWatch —which ultimately released as the Apple Watch. Apple also reportedly set up a laboratory for micro LED research and development in northern Taiwan in April of 2015. Supply chain monitor Digitimes notes that Aixtron SE has recently debuted the AIX G5+C for micro LED production. The new equipment cuts back defects by nearly 50 percent versus older equipment, and cuts deposition deviance from 3 nanometers, down to 1 nanometer. The new equipment with more accuracy and less waste is probably that push that manufacturers need to profitably generate micro LED screens. 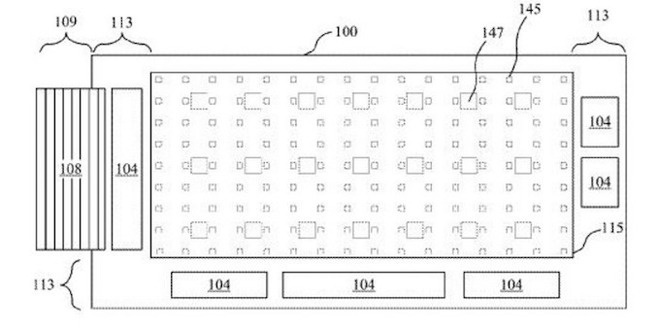 Improvements in deposition accuracy will lead to lesser defect rates —perhaps not enough for larger uses, but more Apple Watch screens per sheet can be gleaned. To be clear, there's nothing concrete coming out of the supply chain, and obviously not from Apple at this time talking about it. There is no firmware to dissect to point to it, nor that many sources familiar with the matter talking about it. However, given the combination of the LuxVue purchase, patents that Apple has accrued regarding the technology, the new production equipment that make mass production theoretically possible for the first time, and the benefits that micro LED would have on an Apple Watch —the direction seems pretty clear. Assuming the price per screen can be kept down, micro LED is an obvious choice for a wearable like the Apple Watch. From a visible perspective, a micro LED screen's brighter display with different contrast than the current OLED screen would benefit users who use their devices in bright sun —a use-case that Apple is pushing heavily. Perhaps more importantly, as compared to the OLED screen in the Apple Watch now, a micro LED screen would have less of an impact on the device. 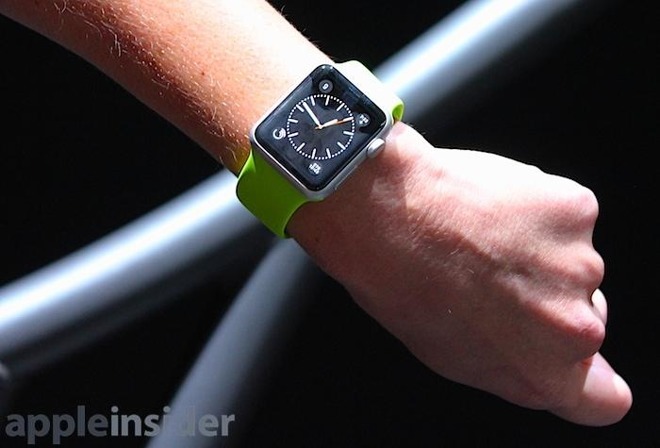 While this may not stretch the power-hungry four-hour LTE time more than six hours, the Apple Watch may not have to charge overnight, and could stretch wear time for notably longer than a day.